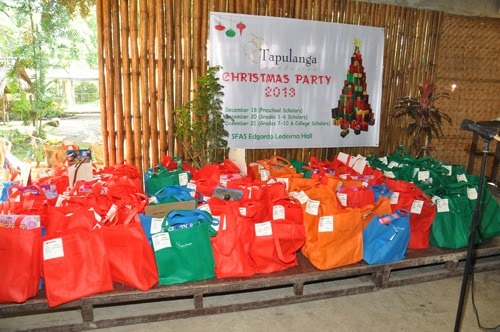 Our scholars gathered at the Edgardo Ledesma Hall on December 20 for Tapulanga Foundation's Christmas Giving 2013 party! 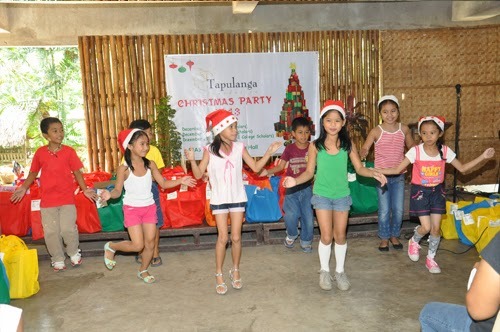 We had scholars from first grade to the sixth light up the atmosphere with a couple of dance performances, before everybody took turns coming up on stage. 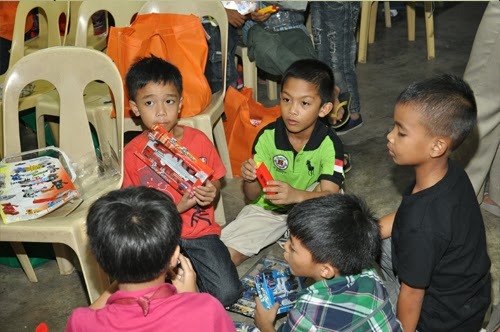 Some of the kids received a card with a personal message from their donor. 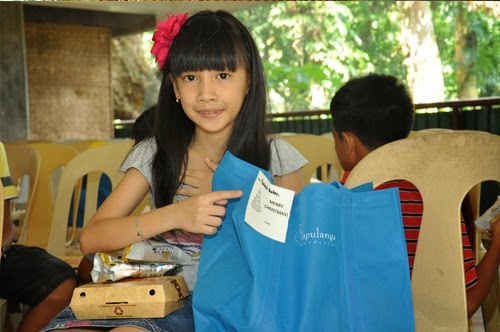 Every scholar received a colorful ecobag with a set of school supplies, a pack of "noche buena" (Christmas eve) grocery and a new toy! 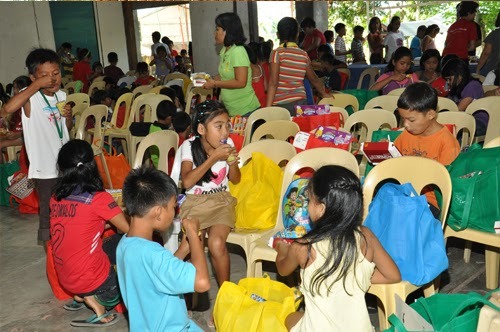 After opening of gifts, everyone had snacks of spaghetti, special mamon (a Filipino sponge cake), and juice. 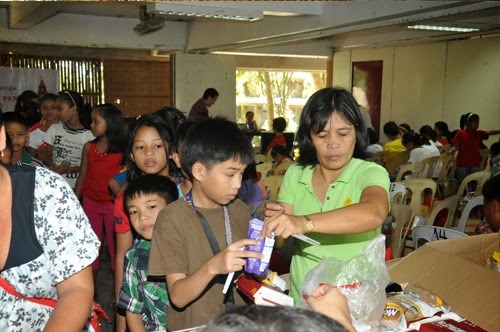 They also had two flavors of ice cream available – a crowd favorite! 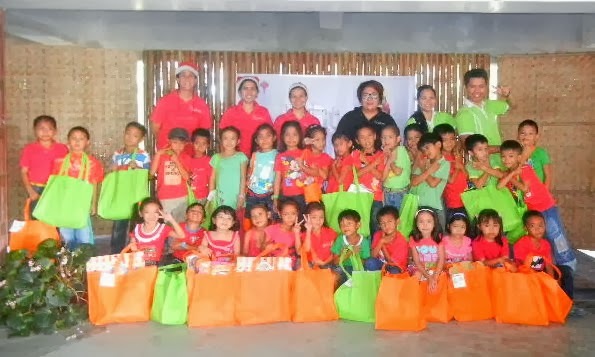 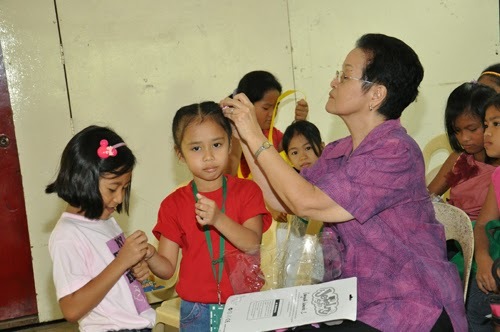 The preschool scholars had their Christmas party on December 18 while the high school and college scholars, on December 21. 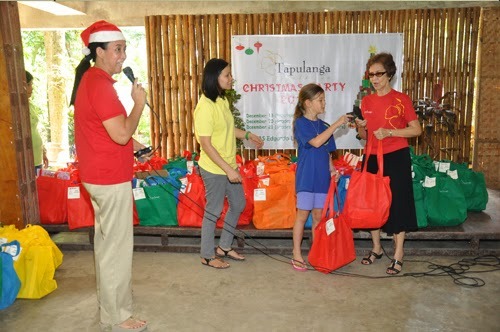 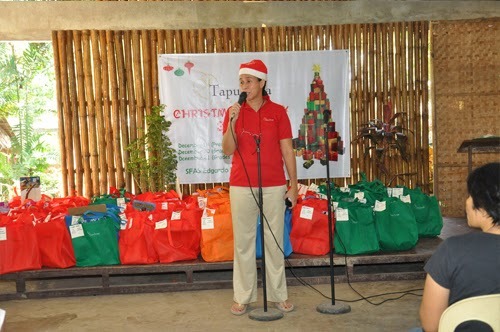 We’re happy to thank all the generous people who helped Tapulanga Foundation’s Gift Giving Program this year. 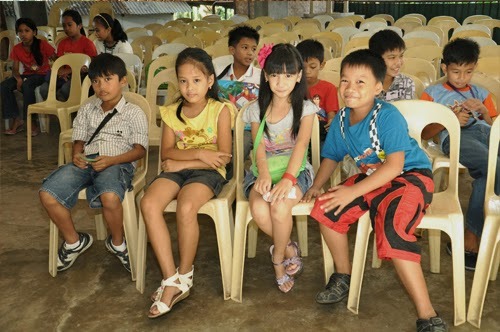 You have brought smiles to these kids and their families.